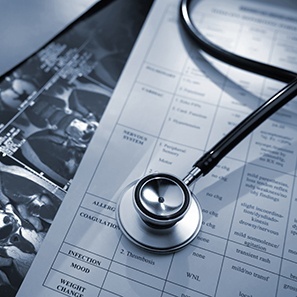 The Healthcare Group has a well-earned reputation for handling high-stakes, high-risk cases, including complex medical malpractice litigation and professional liability claims. We also provide general representation and counseling in various areas of healthcare law, including administrative and court proceedings involving licensure issues, staff privileges and credentialing, contracts for the exclusive providing of services and potential anti-trust implications. We have experience handling anti-trust, Medicare and Medicaid fraud cases and assisting clients in responding to compliance audits in civil and criminal investigations. We defend complicated claims of death and injury brought against pharmaceutical companies and makers of medical products and devices. We represent both insured and self-insured developers, manufacturers, distributors and patent-holders of pharmaceuticals, over-the-counter medications, prostheses, implants, hospital equipment and diagnostic devices. Whether a case involves a single plaintiff or myriad multi-district parties, we have the strategic focus and attention to detail demanded for successful outcomes. We use a team approach to defending clients in these complex cases, maximizing experience and strengths to provide a thorough, economical defense. The group includes a number of attorneys who have worked as healthcare professionals themselves, which provides an enhanced knowledge base for the representation of our clients. Successful defense on motion to dismiss of medical doctor accused of repeatedly offering fraudulent expert testimony. Dismissal affirmed by Delaware Supreme Court.